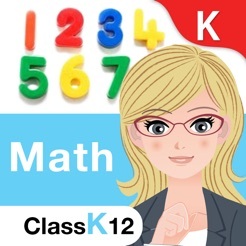 ​Kindergarten Math provides comprehensive learning with high quality entertainment for children ages 3 to 6 years. 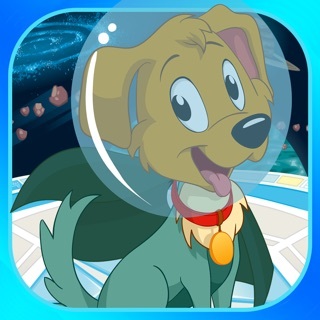 The app has a captivating Safari theme that keeps children engaged while they learn new skills. 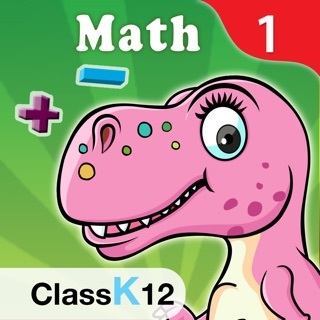 The dinosaur guide helps children navigate the safari and math questions. 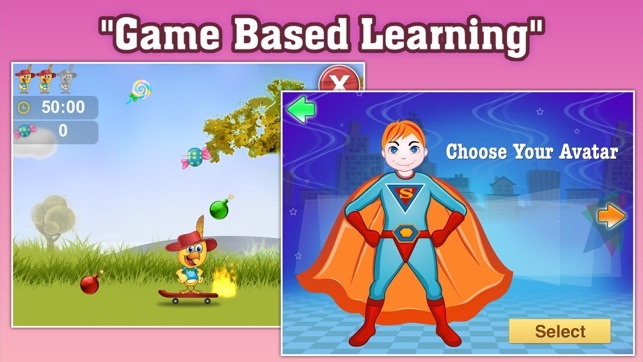 The app contains kid-friendly rich graphics, animations, voices, and intuitive click, drag and drop type question templates that are easy for children to follow without parent or teacher supervision. This app offers two payment options: Monthly Subscription for $0.99/month or Buy Now for $5.99. Payment will be charged to iTunes account at confirmation of purchase. Subscription automatically renews unless auto-renew is turned off at least 24-hours before the end of the current period. The account will be charged for renewal within 24-hours prior to the end of the current period. 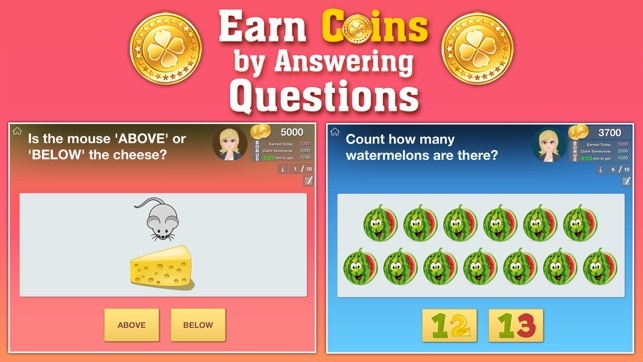 - MOTIVATING GAMEPLAY: By answering questions, children earn coins that they spend to add animals (parrot, kangaroo, tiger, elephant, etc.) to the Safari and to feed them. 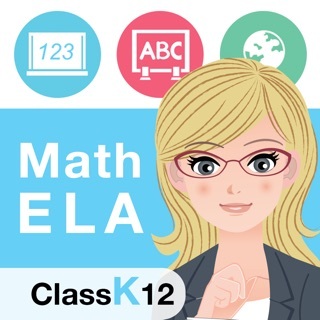 - PERSONALIZED LEARNING: The app adjusts difficulty level to match child’s performance and learning requirements. 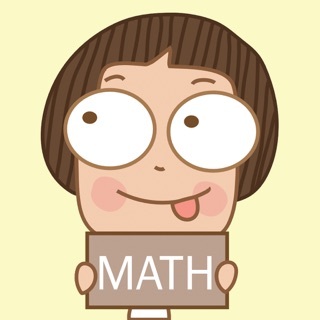 AUTO-SOLVE helps kids comprehend right solution for each question. 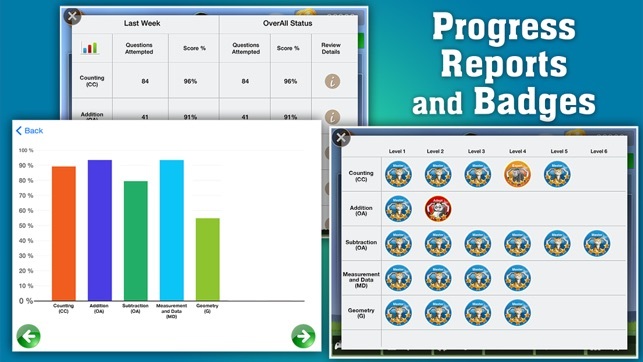 - REPORTS: Real-time feedback and performance reports are provided for learners, parents, and teachers. 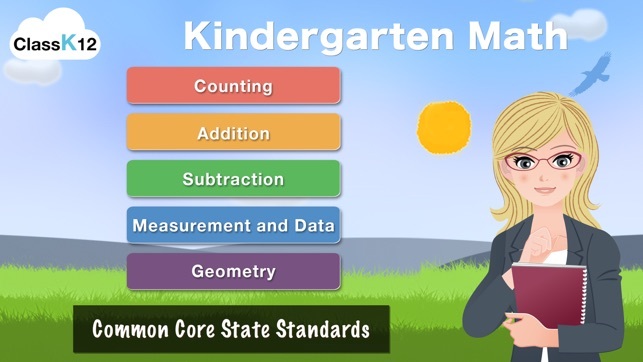 - CORE MATH SKILLS: Kindergarten math skills based on Common Core State Standards. More than 700 questions and 65+ skills have been covered. - GUIDED VOICEOVER: Daphne, the dinosaur guides children through the question-answers. This helps in better understanding of the concepts and retention. 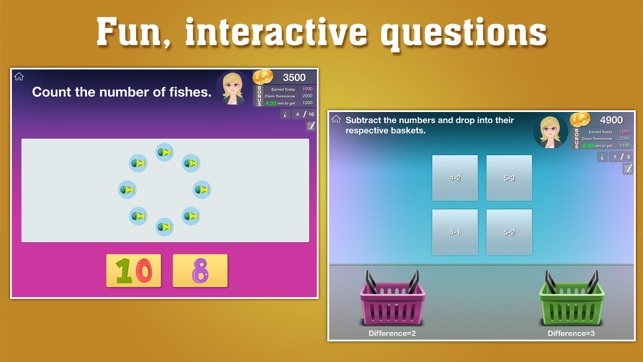 - RICH GRAPHICS: The user interface is simple and intuitive with great animations that make question solving fun. Large variety of question templates and high quality images keep children engaged throughout the sessions. 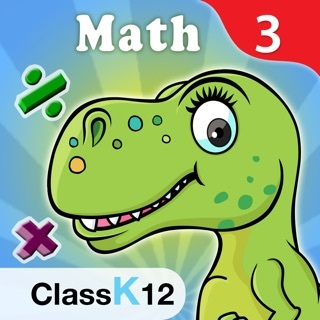 Kindergarten app topics focus on four critical areas: (1) developing understanding of Numbers and its relation with Counting and strategies for Counting using different arrangements of objects; (2) developing understanding of whole number relationships and place value, including grouping in ones, tens, twos, fives; (3) developing understanding of comparison of objects with respect to size, height, length, weight and capacity; and (4) developing understanding of basic addition and subtraction concepts; (5) developing understanding of Geometry with the help of real life examples. Available for iPhone, iPad and iPod Touch. I like the idea of it, however, it needs a lot of work. In the data/measurement section, it asks which stick is longer, but doesn't show any sticks. My daughter enjoys the safari aspect but noted it was weird a dinosaur was the guide. Additionally, there is not an option to have words in the problems spoken, so if you have a visually impaired kiddo, an ELL, or a slow reader, there's going to be issues. Overall, it's not the worst, but certainly not worth any money. If you get it, stick with the free play. If you're going to spend any money, there are several cheaper apps with better graphics, concepts, and less glitches. Thanks for this game. This game make children not only can add and count the picture in this game. But they need to think which one is have the same value with the answer. Thanks!